You would think that you would have to spend some money researching your ancestors. That is why I want to show you how you can get records at FindMyPast for free! That’s right you don’t have to spend anything. Not a dime or penny. Are you interested to learn how? Not to sound bias but FindMyPast is really one of the best genealogy sites that I have used. I particularly like it because their website is easy to use. And also they add new records every week! So, if you don’t find what you are looking for there is always the possibility that it will be uploaded in time. You just need to check back at a later time. But that’s alright because there’s always something to discover about your ancestors. There are many more records besides these that you can find on this site. I just thought that I would highlight to you what you can expect to find within the FindMyPast databases. Believe it or not but there are free records that you can access from FindMyPast. 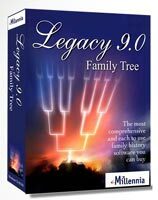 But before I do discuss how you can get these records I first want to explain how you can create a family tree on this genealogy site. Create Your Family Tree for Free! FindMyPast really make it easy for you to create your family tree. You can then search through their databases to find your ancestors records so you can build out the branches of your tree. Registering and creating your tree is FREE at FindMyPast! Once you have registered you then add your ancestors to the tree with all of their vital records such as their birth, marriage and death details. Plus, you can attach records, images and voice recordings to them as well. Already started your tree? No problem! One thing that I like about FindMyPast is that if you have already started to build your family tree elsewhere then you can import your GEDCOM file. Being able to do this is great because you can then continue your quest to find your ancestors online. You don’t have to start from scratch. FindMyPast also allows you to upload your tree from another genealogy site such as Ancestry or MyHeritage. I like how you can do this as you wouldn’t think you would be able to do so. An advantage to uploading your tree to FindMyPast is the clever hints system that connects ancestors within your tree and records stored within their website. This is great because you then have the possibility of breaking down those brick walls that you may have encountered. What Free Records Are Available? I apologize as I have digressed from telling you what free records are available at FindMyPast. I just wanted to explain to you just how easy it is to create your tree and the benefits of doing so. US Censuses – FindMyPast is the only place online that you can get free access to the 1790-1940 US census records. BMD (US & Canada) – These birth, marriage and death records are an exceptional way for you to get the key details of your ancestors that you can plug into your family tree. Irish Catholic Parish Registers – Do you know that there are over 40 million Americans that have Irish heritage? So it’s great that FindMyPast have made these particular records free to access so that you can find your Irish roots. Check Out The Free Records For Your Country! If you are new to the world of genealogy and what these sites offer then a free trial is the right choice for you. By joining you can access and explore the millions of records that are contained within the FindMyPast database for free. You can create your tree for free as I showed you in the previous step. By joining FindMyPast you can also easily record what you find as well. Much better than jotting down on a piece of paper all of your discoveries right? Why not sign up to FindMyPast? When you sign up you just enter your first and last name. And then provide your email address and choose a password to secure your account. And that’s it, that’s all the information that you need to enter to start your 14-day free trial. Build your tree immediately with their online family tree builder. Explore the millions of records that contain details about your ancestors such as their name, important dates and facts about them, including their occupation and address. Search the largest collection of newspapers online. Check Out The 14-Day Free Trial For Your Country! FindMyPast occasionally put on free weekends where you can access their database at no charge at all. It’s a great way for you to not only find your ancestors but also to see whether FindMyPast is right for you. But when are these free weekends? The best way to be kept informed of when these free weekends are is by going to their FindMyPast Facebook page. Once you are there make sure that you like their page and follow it as well. Just keep your eyes peeled for these key posts among the many informative posts that they put up. And if you have just missed out on a free weekend then you can always join for free as I have explained above. Joining and visiting my local library was how I was able to build such a vast and impressive family tree. By joining my local library I was able to use their computers and access genealogy sites such as FindMyPast completely free! Why not join your local library? Your local library should have a genealogy section and there may even be a family history society that you can join. If there is such a society then they will most likely put on classes every so often, maybe once or a couple of times a month. They may also invite a guest speaker to appear at these classes so that you can get some great advice and tips from them. 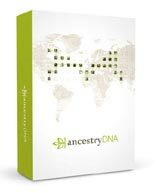 I discovered my family history by taking advantage of this free method. I would spend hours and hours sifting through the records, (mostly census records). Collect your information and then assimilate! I would put what I had found out about my ancestors on a memory stick and then go home to enter it into my genealogy software program at home. By doing this I was able to climb further and further up my family tree. I must admit that sometimes I did get overwhelmed with the amount of information that I had collected. Sometimes I would spend up to 4 hours at the library collecting what I could about my ancestors. So, you do need to pace yourself otherwise you will burn yourself out. Just concentrate on a particular ancestor and find out all that you can about him or her. Visiting your local library is a great way to get the information that you are after for free. When you start to trace your family history I always encourage people to collect information that they can find for free. It only makes sense to find out what you can before you have to eventually spend your money. First of all you will start with yourself and enter into a genealogy software program what you already know about yourself, your parents and your grandparents. Maybe even your great grandparents. After that you will search through your home to see what you can find and also ask your relatives for help. And then turn to genealogy sites such as FindMyPast. But if you are like me you may want to do this on the cheap. Or you may be cautious at first and so you may want to trial this site before you join. And that is completely fine. Whatever way that you do decide upon, (you may even try more than one way), I hope that you do find your ancestors and discover so much about them. To sign off I just want to say that I hope that you have fun on your family history journey. I hope you enjoyed this post showing you how you can get records at FindMyPast for free. If you have any questions or comments then please leave a comment below. thanks for creating such a well researched and thoughtful article. 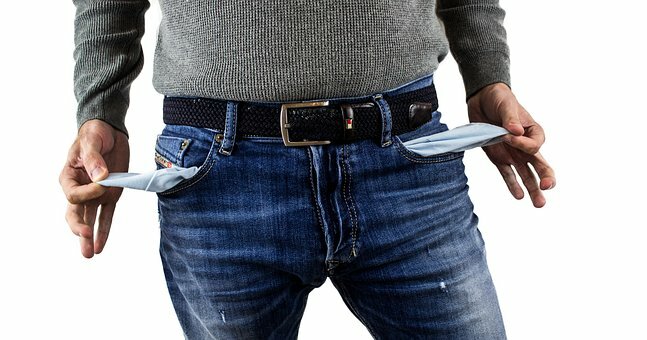 I know that this article will help a lot of people. As people spread out across the globe, we all want to know where our “base” or “ancestral home” is. I am glad that sites like yours exist to help people stay connected to their family and their roots. I think it’s a great idea that companies like this allow you to start creating your family trees for free. My sister logged onto one of these sites and updated some basic information and then…… low and behold a distant cousin contacted her to tell her about the rest of the family tree that she knew nothing about. Anyway, I am glad that sites like your exist. Good luck. Thank you for the kind compliment. I am glad that you like my site. There is plenty of useful information on my site covering all areas of family history research. So there is something for everyone here. I like how FindMyPast do help you to discover your ancestors for free. And also that you can create your tree. I have had the pleasure of meeting my distant cousins online, and they have helped me incredibly to fill in holes in my family tree. I often wondered would you get into spending a lot of money searching for information of your past. This has shown me that you don’t have to spend a lot of money if you want to find out about some information from the past. Thanks. Thank you for your comment. There will come a time when you will have to spend some money, such as buying genealogy software program and DNA genealogy testing. But yes we all want to get information about our ancestors for free. That is why I thought I would show you all how you can get records from one of the world’s biggest genealogy sites for free. This is very interesting. I will be using all of these differ t ways to build my family tree. I just can’t thank you enough for all of your hard work. It’s my pleasure Aquinda. I am so glad to help you and everyone else who want to get access to their ancestors records for free. Owain, what an interesting, and cheap way, to get hooked up to building your family tree. My father started a family tree shortly before he got ill. Since then (a few years ago) the family has expanded though, and I would like to update it as well as searching further back. You did list down which data is available for free. But can you please advice whether with FindMyPast I can access data, maybe not for free, from other countries, such as Europe? Thank you for your comment and question. It is a good idea to update your family tree every so often. I say that because there are records being uploaded all the time by genealogy sites and other resources. As for discovering your European roots there are British and Irish records to be found at FindMyPast UK. You can always start a free trial with them and see what you discover.